Discover how IT professionals are developing enterprise-wide remote access strategies. 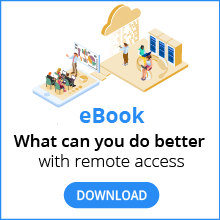 The eBook features insights into the experience of over 50 senior technology professionals across the UK, US and Canada, who are using remote access to drive change in their organizations. 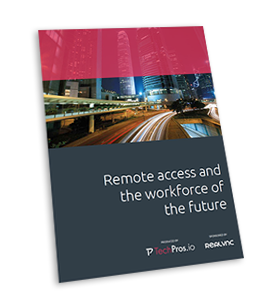 Find out how the shift from remote access as a tactical tool to a more strategic approach is facilitating functions like remote working, training and sharing of IT resources, and how a consolidated remote access strategy can help you improve the efficiency of your business.